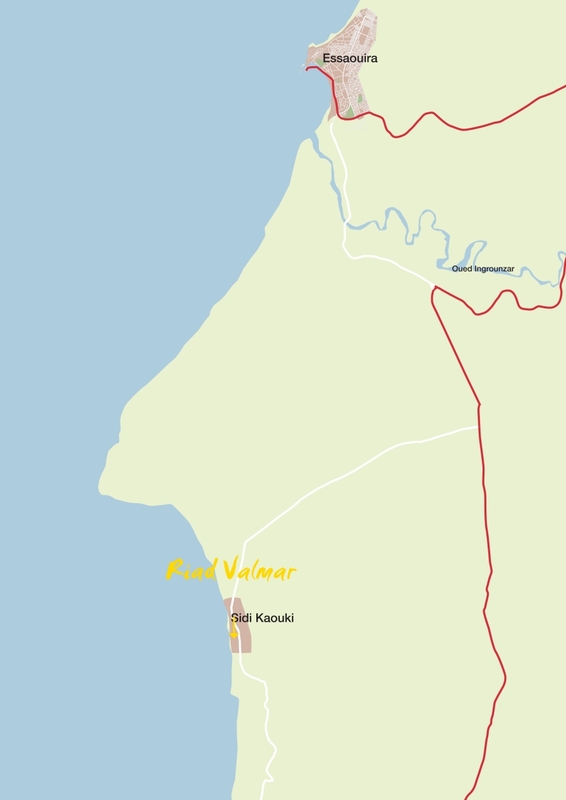 Riad Valmar Client Comments, Reviews and Testimonials. 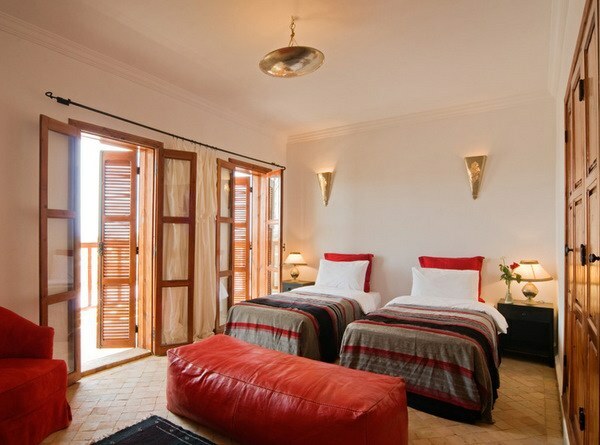 Book Riad Valmar Today with Hip Morocco - Holiday Accommodation in Essaouira , Morocco. 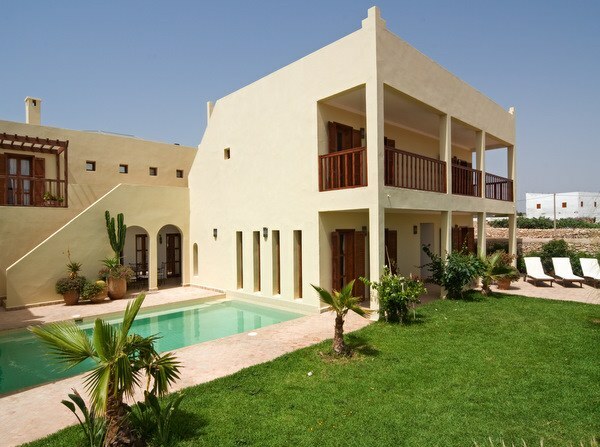 "..riads with swimming pools and stunning views. Luxury boutique hotel service with hammam, private dining and roof terraces." 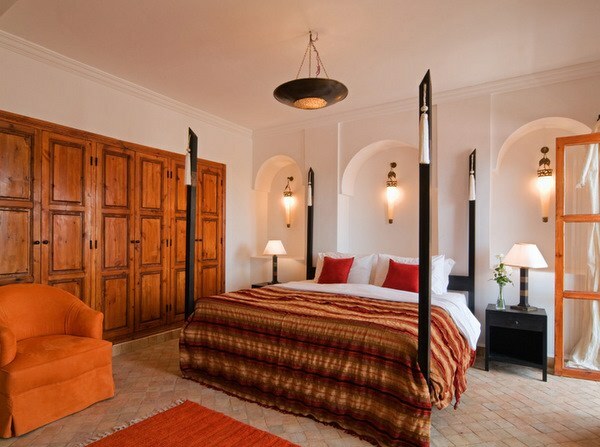 Riad Valmar is part of the Rebali Riads, a collection of 6 Moroccan boutique villas in Sidi Kaouki, a 20-30 minute drive from Essaouira. 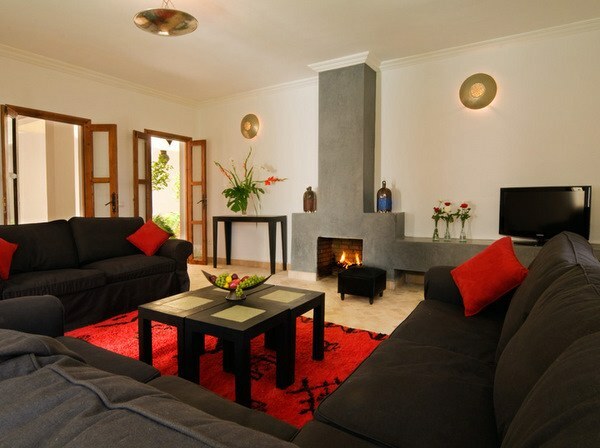 All are offered as part of the two centre Hipmarrakech Special Offer, which saves you over £100 in transfer costs. 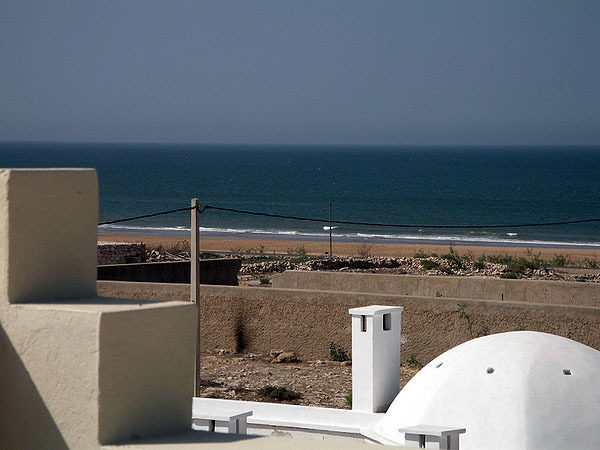 The Rebali riads are set 100 metres from miles of beautiful sandy beaches and stunning views over the coast and mountains. 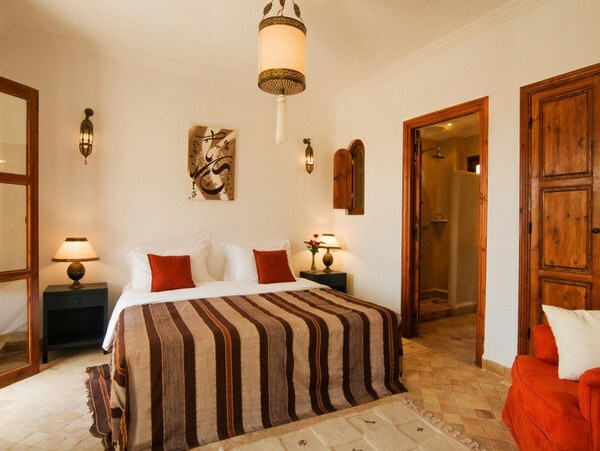 Riad Valmar has four suites as well as a cinema room. 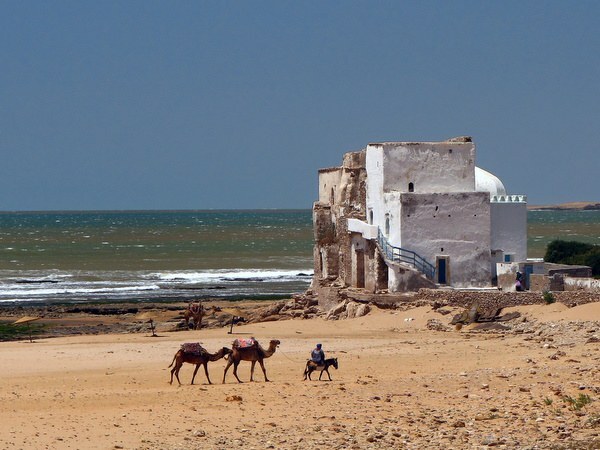 You can relax and soak up the atmosphere of Moroccan rural life, yet be only a short drive away (22 km) from the bustling souks and ramparts of Essaouira with its fabulous restaurants and shopping. On-site are beautiful gardens, a selection of swimming pools, a traditional hammam and spa and tennis court. The dining area has a glass sliding roof. From the dining room an arched passage leads into the open courtyard with fruit trees, bistro tables and an ornamental fountain. On the other side of this courtyard is the main sitting room with TV and fireplace and also the cinema snug. The courtyard also has large double doors that lead to covered loggia that run runs the length of the dining room and opens on to the pool courtyard. The swimming pool (7m x 5m - 23ft x 16ft) is enclosed on three sides to act as a sun trap with an outside dining and sun bathing terrace alongside one edge. The private gardens are accessed from the pool courtyard or the sitting room and have a sunbathing terrace with loungers and a gate to the hammam and communal gardens. Also from the pool terrace are stairs leading to the first floor terrace and on up to the roof terrace with great views and seating areas. 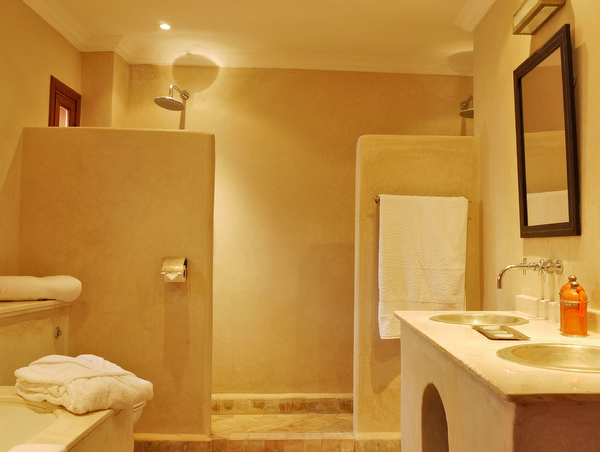 The discreet boutique hotel service ensures privacy and luxury for all guests. Breakfast is included and served by the staff. "We got the best service any of us have ever had, and we are pretty well travelled. The Rebali team, couldn't do enough for us, from organising resturants, taxi's, drumming workshop (yes really), henna tattoo at the riad, inflatable toys for the pool, BBQ with other guests. The warmth of all the staff made us feel as if we were old friends. The Valmar Riad was more than big enough for 5 adults and 5 young people ranging from 6 to 15. Even the gardner came out of his way to bring us a Chameleon for the kids to see. Despite being there 9 days breakfasts were varied and generous, as was dinner. Can't wait to go back!" "My girlfriend and I just fell in love with this place and could happily have stayed there for our entire holiday instead of the 4 nights we had with our itinerary. We were greeted at the door on arrival by the manager Mohammed, who took us to our villa and greeted us with mint tea and the nicest slice of chocolate cake I've ever eaten. We had book a room in Riad Valmar however, as they were so quiet when we arrived, they simply gave us the whole Villa to ourselves. Total luxury. SO much space, private pool, lounge room, TV room, kitchen, dining room, retractable roof and star / sun terrace. Bliss. The night sky here is amazing. You can lay on the cushions on the roof terrace with a perfect view of the Milky Way, they even provide star charts. The staff are lovely, speak very good English, and look after you really well. Food is eaten... Where you want it, when you want it. We felt like royalty." Twin or double rom with en suite shower room, a large private balcony with great views. Twin or double rom with en suite shower room, a private balcony area overlooking pool and the countryside. 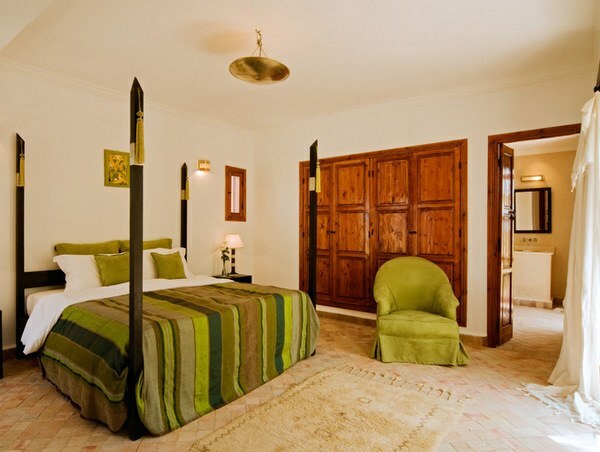 Suite with 4-poster bed and large bathroom with bath, double shower and double basins. Large balcony with great sea and countryside views. The largest room in Rebali with four-poster bed and large bathroom with bath, double shower and double basins. 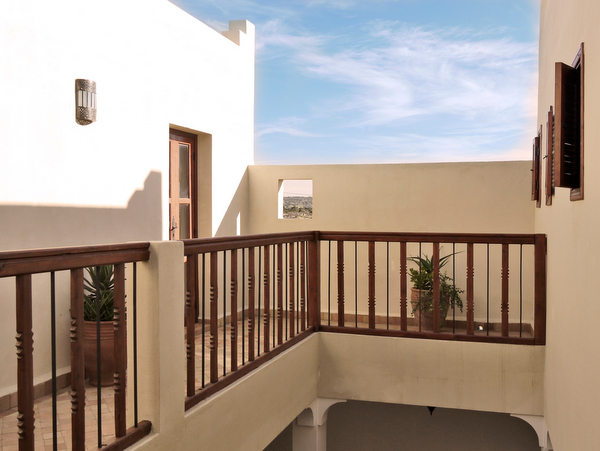 Two balconies overlooking the courtyard on one side and the countryside and sea on the other. 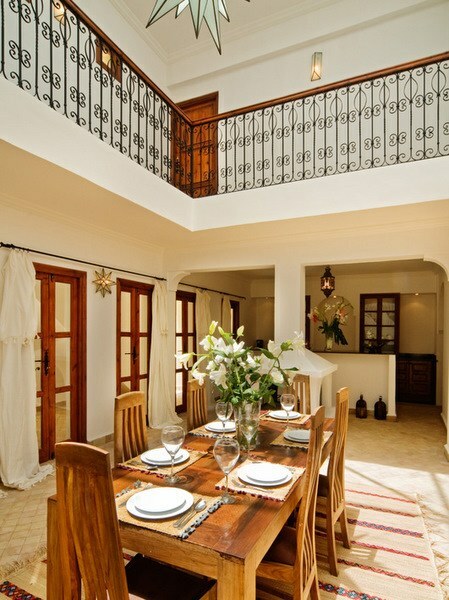 The base rate price at Riad Valmar is in pounds, euros, or Moroccan dirhams and exchange rates are approximate.